The Zered River is believed by most to be Wadi al-Hesa. There are some difficulties with this identification, but most follow it. 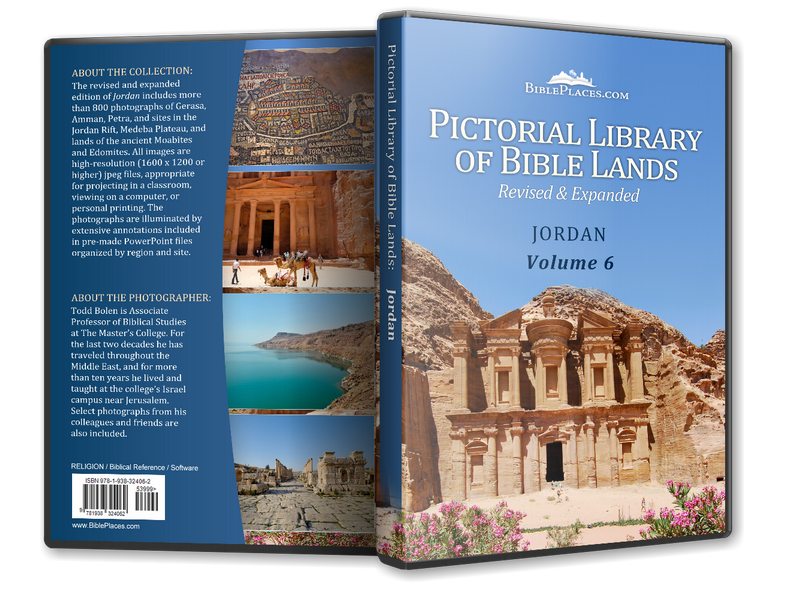 It is 35 miles (55 km) long and 3.5 to 4 miles (5.5 to 6.5 km) wide, and drains into the Dead Sea near the southeastern corner. The Zered forms the southern border of Moab and the northern border of Edom. The Israelites crossed the Zered 38 years after they first left Kadesh Barnea (Deut 2:13-14). The modern city of Buseirah preserves the name and location of ancient Bozrah, the ancient capital of the Edomites (cf. Isa 34:6; 63:1; Jer 49:13). 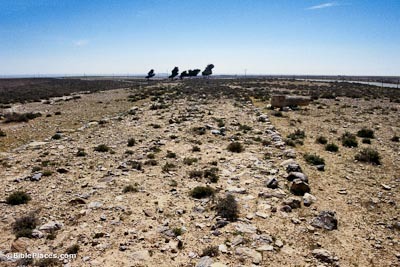 The earliest significant remains at Buseireh are from 800 B.C. 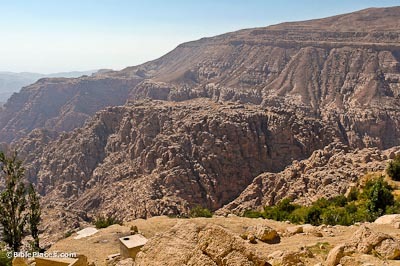 It has the largest Iron Age buildings found in Transjordan, among which was perhaps the king’s palace. The term “Sela” is used 65 times in the Hebrew Bible, usually meaning “rock,” but 6 times it is used as a place name. Four or five of the references are apparently to a site that preserves this name near Bozrah. As part of a condemnation of Edom, Obadiah 3 states, “The pride of your heart has deceived you, you who live in the clefts of the rock [Sela], in your lofty dwelling, who say in your heart, ‘Who will bring me down to the ground?’” (ESV). 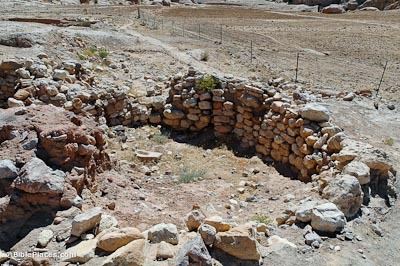 Beidha is one of the oldest excavated Neolithic villages. Much has eroded, but remains are preserved from the Pre-Pottery Neolithic period (c. 7200-6500 BC). The earliest houses were round and built partly underground. Slots in the walls held wooden beams which supported the roof. After the site was destroyed by fire, it was rebuilt with rectangular and circular houses. The site was abandoned in 6500 B.C. and never again inhabited. Because of its resemblance to Petra, this site is often known as “Little Petra.” It is entered through a narrow, winding canyon (“siq”) known as the “cold Siq” (Siq al-Barid) because the high walls prevent sunlight from entering the canyon and warming it. The Siq is 350 meters long with three wider areas inside. 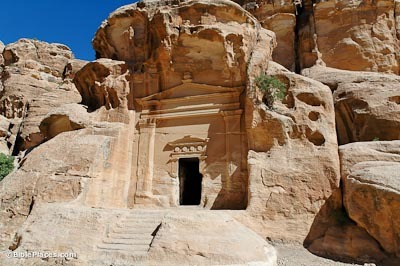 Like its larger neighbor to the south, carved into the sandstone of Siq al-Barid are residences, storage areas, and tombs. Two highways ran north to south through Edom and Moab: the King’s Highway (shown here) and the Way of the Wilderness. 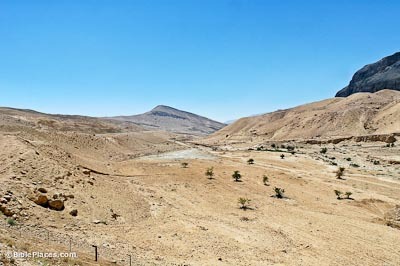 The advantage of the King’s Highway was the accessibility of water and food, but its disadvantage was difficult crossings of deep canyons. 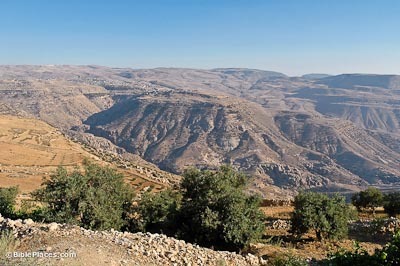 The Israelites wanted to pass through Edom on the King’s Highway, but the Edomites forced them to go around, utilizing the Way of the Wilderness (Num 20:17-18; Deut 2:1-8).